Muhammad Ali surrounded by supporters after his Earl's Court fight, London, 1966. Vintage bromide print, 10 x 12 " © James Barnor / Courtesy of Autograph ABP, London. Supported by the National Lottery through the Heritage Lottery Fund. 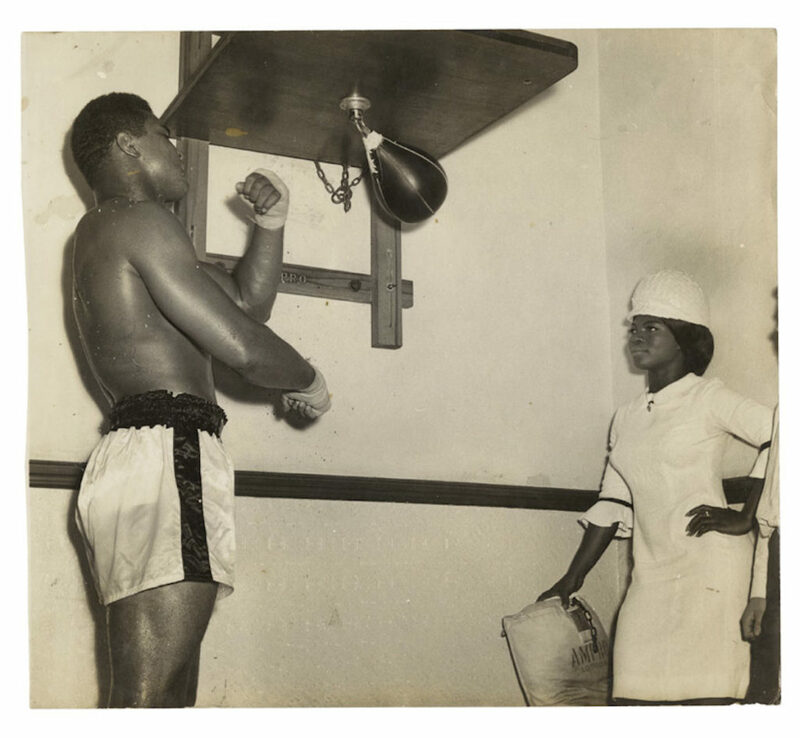 Muhammad Ali with Drum model/reporter training for a fight at Earls’ Court, London, 1967. 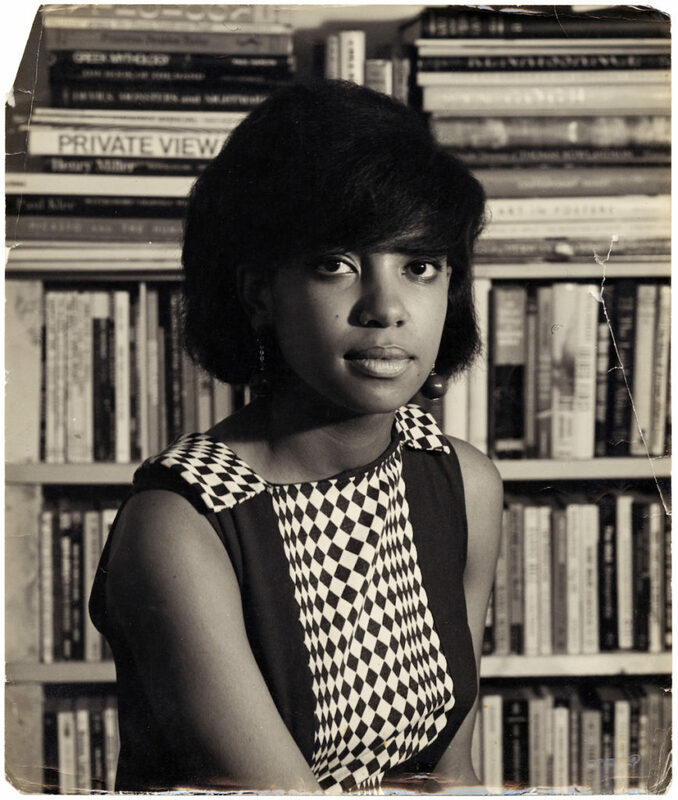 Vintage bromide print 8 x 10 " © James Barnor / Courtesy of Autograph ABP, London. Supported by the National Lottery through the Heritage Lottery Fund. Mike Eghan at the BBC Studios, London, 1967. Vintage bromide print, 10 x 12 " © James Barnor / Courtesy of Autograph ABP, London. Supported by the National Lottery through the Heritage Lottery Fund. 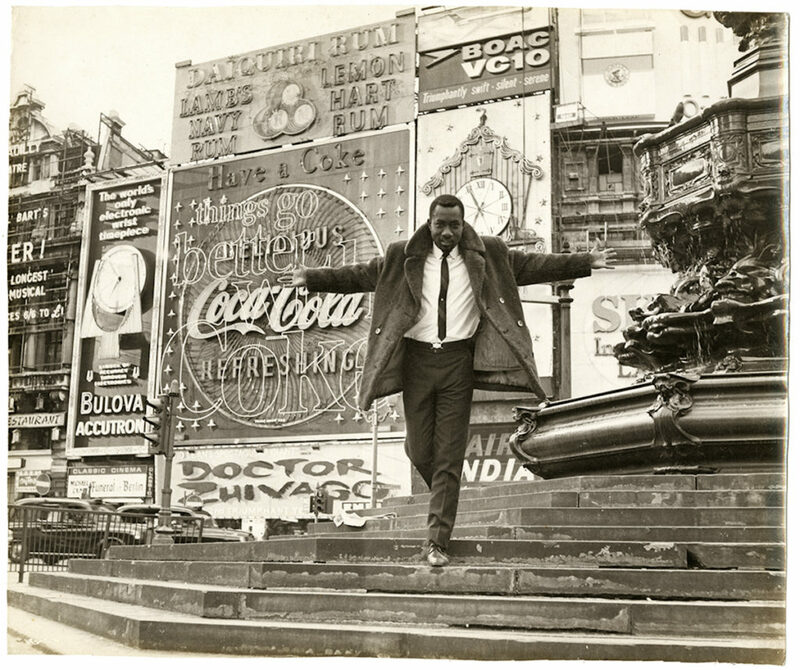 Mike Eghan at Piccadilly Circus, London, 1967. Vintage bromide print, 10 x 12 " © James Barnor / Courtesy of Autograph ABP, London. Supported by the National Lottery through the Heritage Lottery Fund. Drum cover girl Erlin Ibreck, London, 1967. Vintage bromide print, 8 x 10 " © James Barnor / Courtesy of Autograph ABP, London. Supported by the National Lottery through the Heritage Lottery Fund. Born in 1929 in Accra, James Barnor is considered a pioneer of Ghanaian photography. His career, spanning six decades, covers a remarkable period in history, bridging continents and photographic genres to create a transatlantic narrative marked by his passionate interest in people and cultures. Through the medium of portraiture, Barnor’s photographs represent societies in transition: Ghana moving towards its independence and London becoming a cosmopolitan, multicultural metropolis. 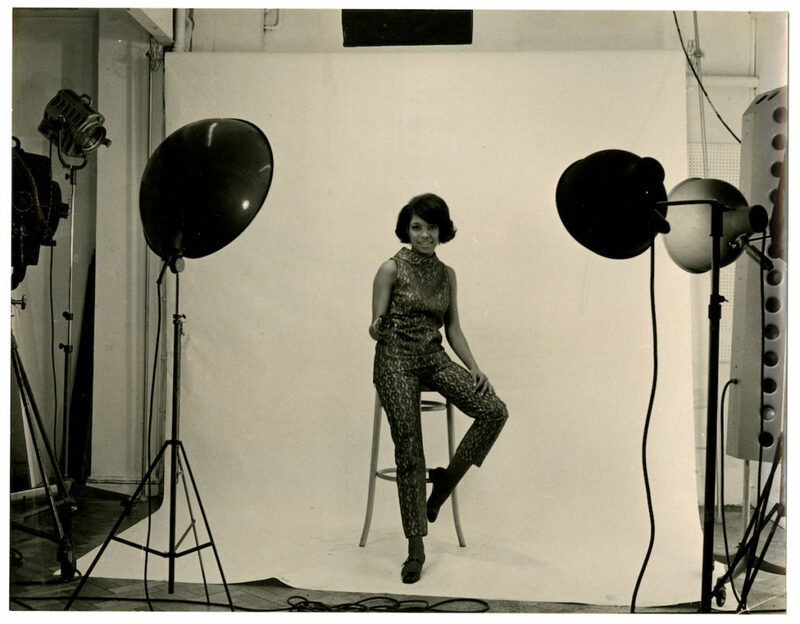 After completing an apprenticeship with his uncle, Barnor opened Ever Young in the early 1950s, a popular photographic portrait studio frequented by a diverse clientele in Jamestown, Accra. During this period Barnor captured intimate moments of luminaries and key political figures, including Ghana’s first prime minister, Kwame Nkrumah as he pushed for pan-African unity, photographing the future leader on several special occasions. He was the first photojournalist to work with the Daily Graphic – a newspaper brought to Ghana by the British media group, the Daily Mirror, and regularly commissioned by Drum magazine, South Africa’s influential anti-apartheid journal for lifestyle and politics. In 1959 Barnor moved to London, then a bourgeoning multicultural European capital to deepen his photographic knowledge. 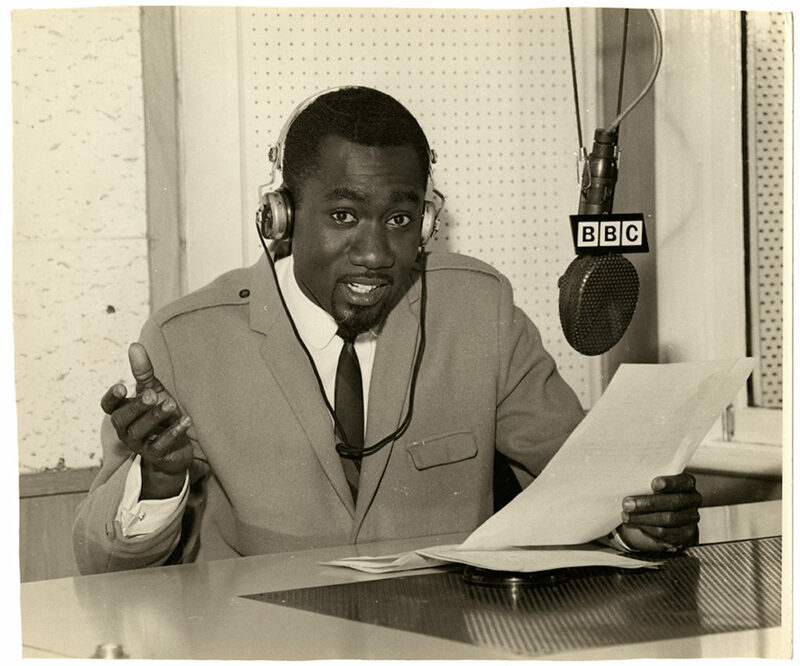 He learned colour photography at the Colour Processing Laboratories Ltd in Edenbridge, Kent, and with a scholarship from the Ghana Cocoa Marketing Board enrolled on a two-year course at Medway College of Art, graduating in 1961. During London’s “swinging sixties”, Barnor eloquently captured the mood of the time, with a keen focus on the African diaspora’s experiences in the city. He continued to work for Drum magazine, and several of his photographs were published as covers and distributed internationally. Towards the end of the decade Barnor was recruited and trained as a representative for Agfa-Gavaert, before returning to Ghana in 1969 where he is credited with opening the first colour processing laboratory in Accra., Studio X23. For the next two decades, he worked independently as well as for several government agencies in Ghana. Today Barnor is retired and lives in Brentford, London. His work is represented in major collections nationally and internationally, both private and public – including Tate, V&A, and the Government Art Collection. 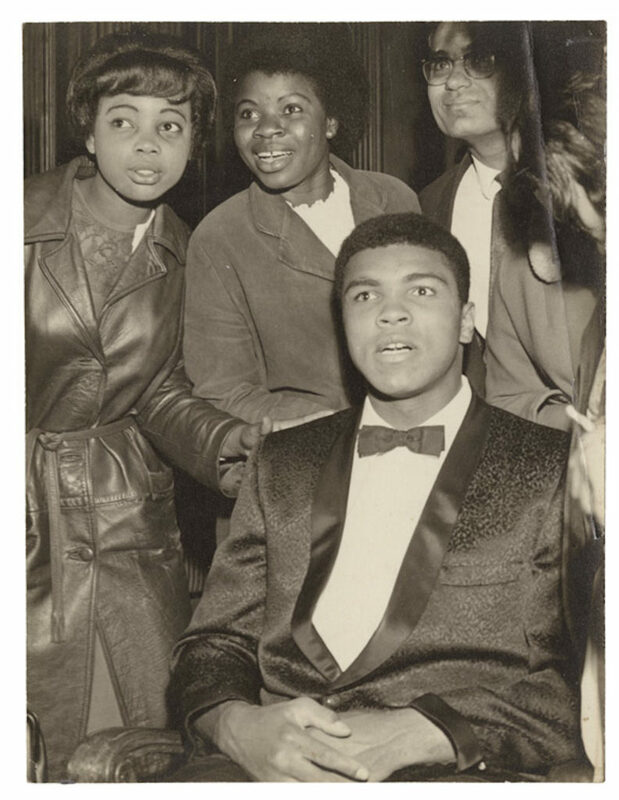 The acquisitions made for In A Different Light expand Autograph ABP’s existing collection of works by Barnor (and touring exhibition), with rare vintage prints, including the portrait of Muhammad Ali minutes before his match against Brian London at Earl’s Court, and his iconic photograph of BBC radio journalist Mike Eghan at the steps of Eros at Piccadilly Circus, London.